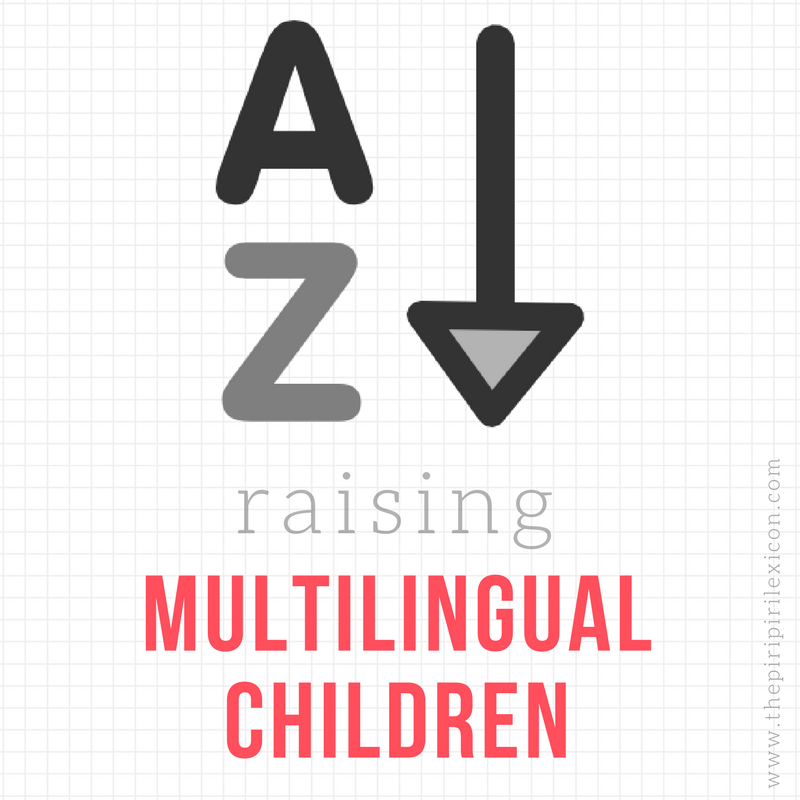 When it comes to raising multilingual children, most of us have had advice thrown at us whether we wanted it or not. Often that advice is based on fears and clichés. Of course, there is the well-known "your kids will be confused" myths that we have all heard about and have all, hopefully, completely ignored (as it is 100% unfounded). There are also some myths which are often engrained in people who may be a little more aware of the benefits of multilingualism. I would call them advanced myths. These are statements you may hear or read about in basic literature about raising multilingual children. 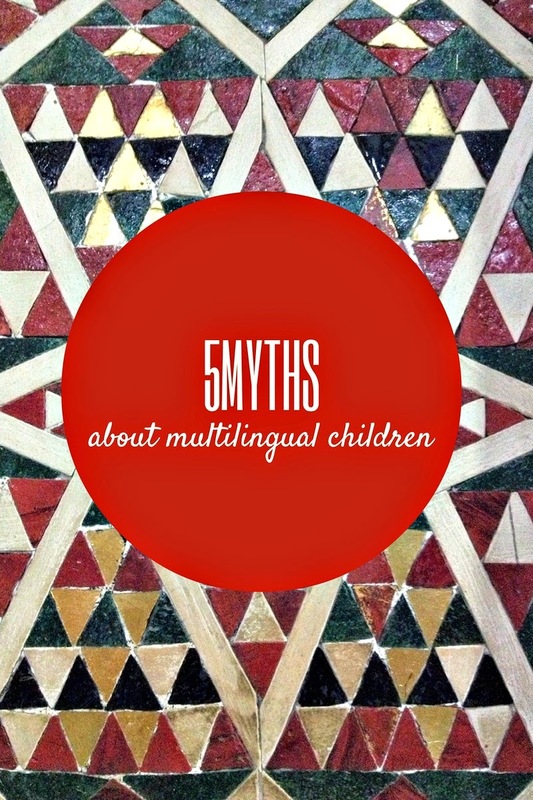 Often, they will come from people who are aware of the benefits of multilingualism but who may not have experienced it themselves or have not raised multilingual children. Below I outline 5 myths/ideas which I think need to be clearly laid out and explained as they are unfounded. You need to expose kids to at least 30% of minority language. This idea is quite recent and has been going round the internet like a virus. It is loosely based on a claim a researcher made a while back but is not based on any scientific research and has been taken to mean something completely different from what was originally intended. For my family, it is practically impossible to reach 30% in all 4 of our languages. Yet, this does not stop LJ from learning all 4. I wrote more about this myth here and Babel Mum helped me respond to it here. Remember that you are planting a seed that will grow (more or less slowly) for the future of your child so any amout is a great start. Think about your aim rather than quantity. Why are you exposing your child to these languages? You must not code-switch (mix languages). Why not? Code-switching (the mixing of two languages) is, in some communities and families, an integral part of communication and speaking. People who code-switch are not deficient, code-switching is not a disease. Can it affect your children? Yes, most likely. And they may do it too. But I am sure they will work out soon enough when it is (or not) appropriate to switch. There are some studies that have shown that code-switching, in communities where it is a normal behaviour, is a good sign. Patterns of code-switching may even help in assessing impairment in young children. You shouldn't change language strategy. I agree that consistency is key and children need a consistency to thrive (language-wise). However, if you move country, the language balance may tip to one side and it may be useful to redress it by changing the language one of the parents speak to the children, for example. Others may change as their children grow up if something is not working. I love this emotional post by a mum who explains what she is doing with her little girl. Whatever the reason, I think that every family is different and what works for one may not work for another. So do what feels right. Changing strategy might just be what will make your adventure even more successful. Receptive learning does not work. That is not true! And we are the best example of that. LJ has heard English outside her home in her first year of life, then we moved to Germany and English became the language spoken by her parents (our secret language). Yet, we never addressed her directly in English, often repeating ourselves to speak to her. She also heard English on TV and with a few of our friends. She was never asked to speak English and never encouraged either. Today, she is fast becoming a fluent English speaker to our complete amazement. We really thought we would leave English alone and encourage the other languages as English is taught almost everywhere in the world and her receptive knowledge would be a good enough advantage. Well, we were wrong, she will be a very advanced speaker before she goes to school. You must reinforce the environment language at home. Some people still find it surprising that we do not speak German (our environment language) at home. Why should we? LJ will learn German no matter what we do at kindergarten, then school. So why should we reinforce something that will most likely become dominant (if we stay here long enough). Yes, she struggled a little when she first started going to kindergarten and could not speak a word of German. But I prefer to encourager her to speak German by organising playdates or German-medium activities rather than switching the language I speak to her for the sake of a very temporary situation. We do not read German to her, we hardly ever let her watch German TV. Our minority languages need to take precedence at home or they will become non-existent in a few years. Have you heard or read about any other myths that you think deserve to be named and shamed? I would love to hear about some others. Thanks for doing this post, it's good to see these myths being challenged. Merci. C'est exactement ce que je cherche a faire. Great post! I have read a lot of these before, so it's great to have them debunked by someone with expertise AND experience!